Jeffrey Monakana has joined Romanian side FC Voluntari after his Brighton contract was cancelled by mutual consent. Monakana, 22, did not make a first-team appearance for the Seagulls, who signed him from Preston two years ago. 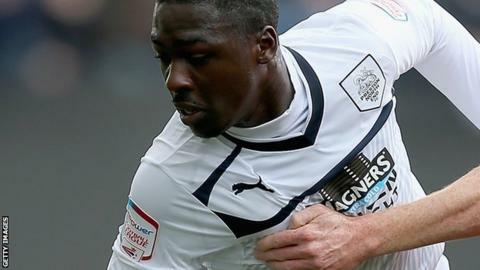 He has had five loan spells since that move, spending time at Crawley, Aberdeen, Mansfield, Carlisle and Bristol Rovers. He began his career at Arsenal and joined Preston in May 2012.